From the main office in Weert, Global Food Group supports and directs the complete production chain, from chick to fluid egg products. This unique structure of chain directing within the production chain of Global Food Group ensures that the company forms a strong team with its chain partners, each working with their own specialism. A team which strives for a high level of efficiency, traceability and quality. By continuously investing in efficiency and quality, Global Food Group is able to supply fully traceable egg products with unique price/quality ratio. Global Food Group works closely together with a farm organisation which ensures that healthy chicks are reared, and ready to be delivered to the contracted rearing companies within the Global Food Group. At the farm organisation, reliability of supply and agreed quality are core values. The production of high quality egg products starts at the beginning of the chain, with the laying hens and then moves on to the production of hatching eggs and day-old chicks. For Global Food Group, the hygiene and traceability of the delivery of day-old chicks is of the utmost importance. Because of the equity interest in Global Feed Mill, Global Food Group has a full insight into the quality and traceability of the feed which is produced for the contracted laying poultry companies and rearing companies within the Global Food Group. Global Feed Mill is a joint venture between Global Food Group and Group AVEVE. With the knowledge of Global Food Group and AVEVE Feed, the Global Feed Mill can easily but effectively make feed for laying poultry and organic feed, which contribute to a healthy yield from the laying poultry chain. These are family companies that operate independently and rear day-old chicks with care and passion until they are laying hens of 17 weeks old. Our technical advisors and veterinaries support the rearing companies in practice. Because of constant exchange of information between the raisers and Global Food Group we can continuously monitor the circumstances, safeguarding the health and wellbeing of the hens. Finally, the laying hens of 17 weeks old are supplied to contracted laying companies within the Global Food Group. Every day, Global Food Group receives millions of eggs from contracted laying poultry companies that produce eggs for the Global Food Group. 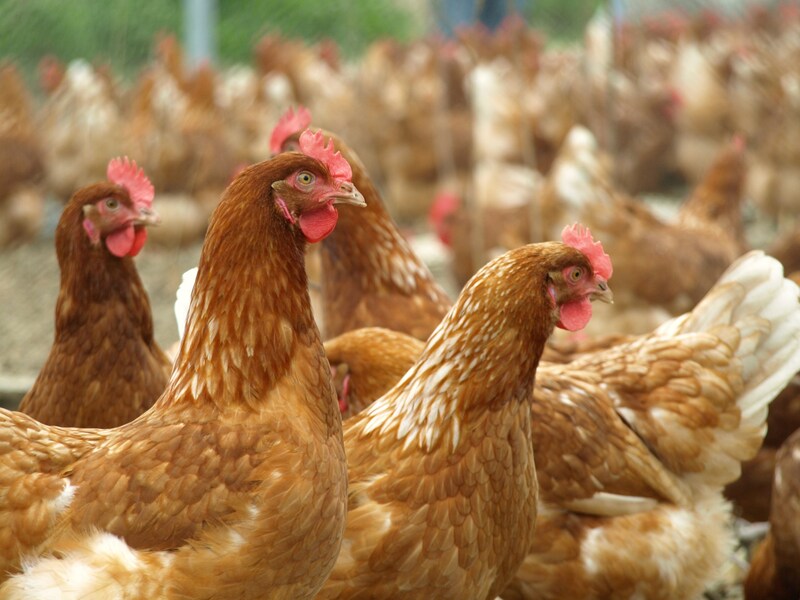 At the laying poultry companies, the hens are kept in colony, aviary or organic farming method. The hens live in modern stables, where climate, drinking water and supply of feed are arranged automatically. With the help of these systems, the poultry raiser can supply the hens with their needs, so that they will be able to lay A quality eggs efficiently. Our drivers collect the eggs from the poultry companies multiple times a week, and then bring them to the ideally located factory for egg products in Ospel. Global Food Group has a modern fleet of vehicles. The egg products are produced in two locations, both of which can be found in the south of the Netherlands. Because of the automated production process, Global Food Group can efficiently create egg products with an ideal price/quality ratio.